At Lely, we believe in constant education of our employees and local Lely Centers. How can we improve the dairy industry and the lives of our producers if we are not growing and improving ourselves? An example of this education is our unique Farm Management Support training. These trainings occur throughout the year, and several are offered so local FMS advisors may grow their knowledge from what they learned in the previous course. 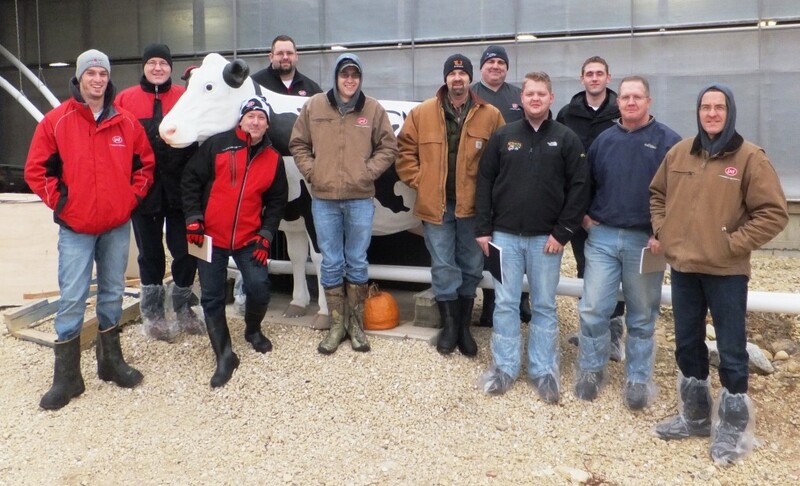 These are formalized training sessions taught by Lely’s very own Senior Farm Management Support team, who is highly experienced in herd health, nutrition, reproduction, rumination, per-cow management through Lely’s T4C herd management software, cow flow, the “lean” concept and much more. Below is a picture of our most recent FMS training graduates, who upgraded their status from Level 1 to Level 2 certified FMS advisors. Congratulations, graduates!